This is one of my favorite grilling recipes. 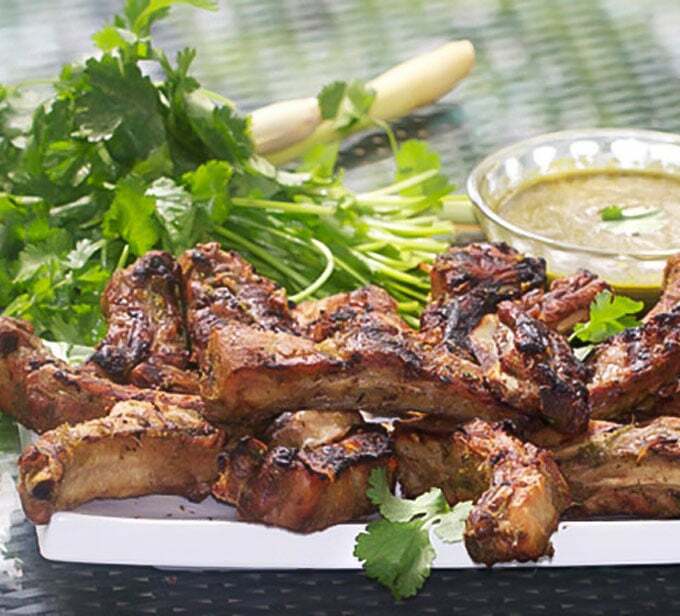 What makes these Thai BBQ Ribs extra tender and delicious is that they’re steamed first and then marinated overnight where they’re infused with incredible Thai flavors of coconut milk, lemongrass, cilantro, ginger, garlic, brown sugar, shallots and soy sauce. Just before serving, all they need is a few minutes on the grill. I used to oversell things. For example, if I loved a movie, I’d tell my friends how amazing it was and how much they were going to love it. By nature, I get really excited when I love something, and my gut instinct is to rave about it to everyone, to call it “the best” and to share my excitement. But I’ve been somewhat tamed over the years. I’ve learned that when you recommend something too highly, there’s always the chance that people will expect too much and be disappointed. I’ve also been told (mainly by my teenagers) that not everybody likes to be told how much they’re going to love something. So I will resist saying what I’d like to say about these Thai coconut BBQ ribs (wink, wink) and just say that I discovered the recipe in Bon Appetite magazine in 1995, and haven’t stopped making them since. One of the many excellent features of this recipe is that you can do all of the messy, difficult work the day before: the ribs are cut apart, steamed, and marinated in the fridge overnight. Then all you have to do is throw them on the grill for a few minutes to brown them before serving. There is a wonderful harmony of many complex flavors in the sauce – a quality that is prized in Thai Cuisine. 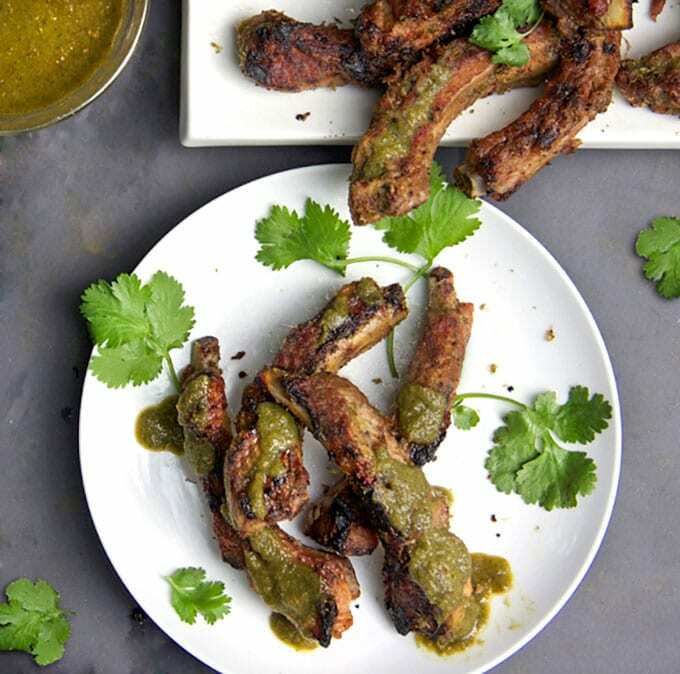 Credit for this delicious BBQ Ribs recipe goes to Bon Appetite – I’ve tweaked the recipe only a tiny bit, adding jalapeño peppers for some bite, a tad more shallots, and an oven-steaming method for those who don’t have a stove-top steamer. …or on the stovetop…. See recipe for more on how to rig up an oven or stovetop steamer. While the ribs are steaming, make the marinade. Lemongrass is a key flavor component of the marinade. If you’ve never used it before, you might like a few tips. 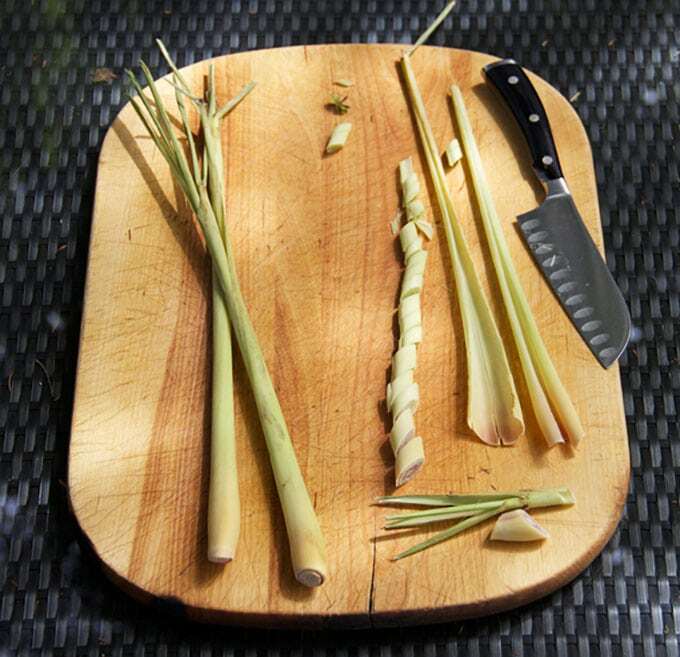 Lemongrass is a tropical plant that’s very popular in Thai cooking. It adds an indescribably exotic, lemony flavor to a recipe. If you’ve never used it before, it can be challenging to figure out. The outer shell is very hard. But there are many layers and each one you peel off exposes one that is more tender underneath. Look for a firm long stalk. Cut off the lower root end and a few inches of the thin pointy end. Peel off one or two tough outer layers along the stalk. Then slice it with a sharp knife. 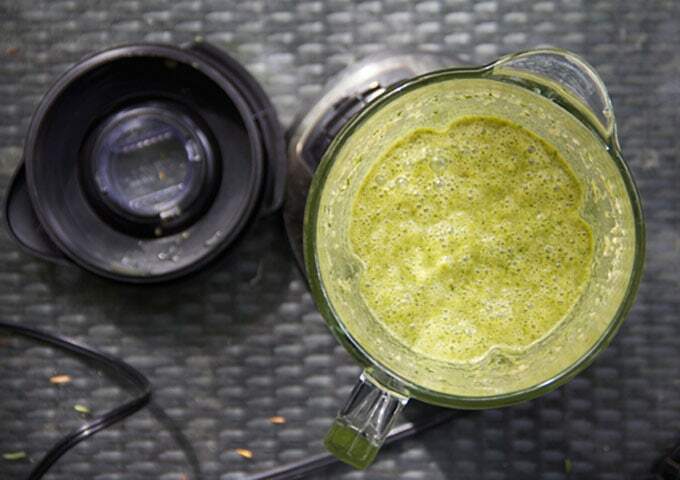 It’s extremely stringy and fibrous inside, so you’ll need a food processor or blender to further break it up. 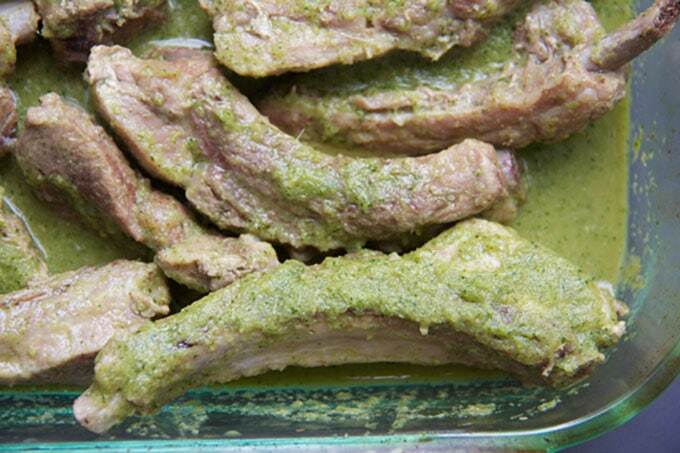 .Once the ribs are steamed and fully cooked, toss them with the delicious Thai coconut sauce and marinate them in the refrigerator overnight. When you’re almost ready to eat, throw the ribs on a hot grill for about 8 minutes, until they’re hot and have a beautiful golden brown crust. Spoon some delicious coconut barbecue sauce on top and enjoy! 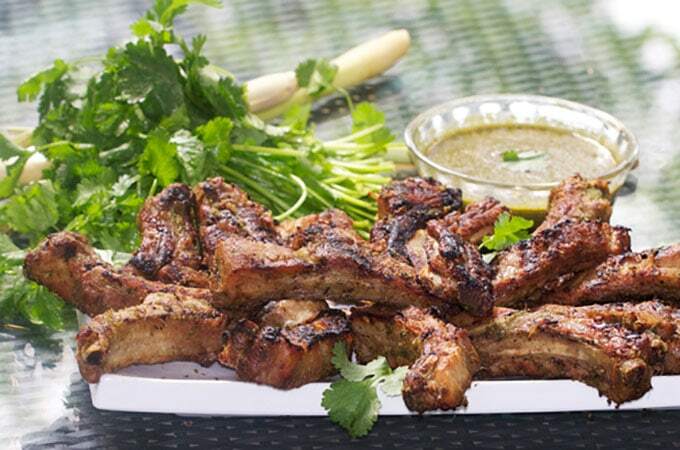 Here’s the recipe for Thai Coconut BBQ Ribs. I’m excited for you to try this! If you do, I hope you’ll come back to let me know how you like it. Barbecued baby back ribs with tantalizing Thai flavors. 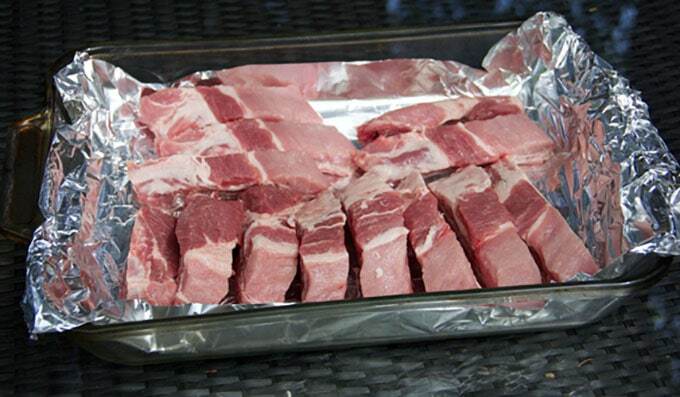 Ribs are steamed and then marinated overnight so you can just throw them on the grill before serving. Grilling browns them and sears in the delicious flavors of the marinade. Make the BBQ sauce/marinade Put all marinade ingredients into a blender or food processor and process 30 seconds to a minute, until smooth. Set aside. 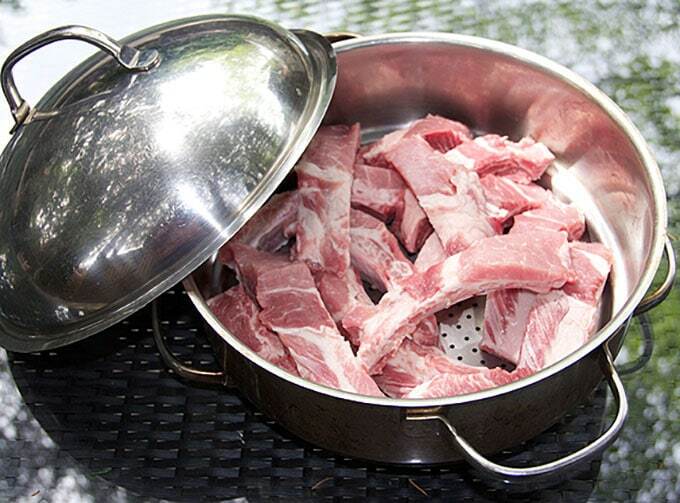 Place steamed ribs in a large, non-reactive baking pan. Let them cool for 10 minutes. Pour marinade on top and toss to coat. Cover pan with plastic wrap and marinate overnight in the refrigerator. Preheat grill to medium-high. Remove ribs from marinade, reserving remaining marinade. Cook ribs for 8 minutes, turning a couple of times, until golden brown. Boil remaining marinade for a minute or two and pour it into a small bowl or gravy boat. 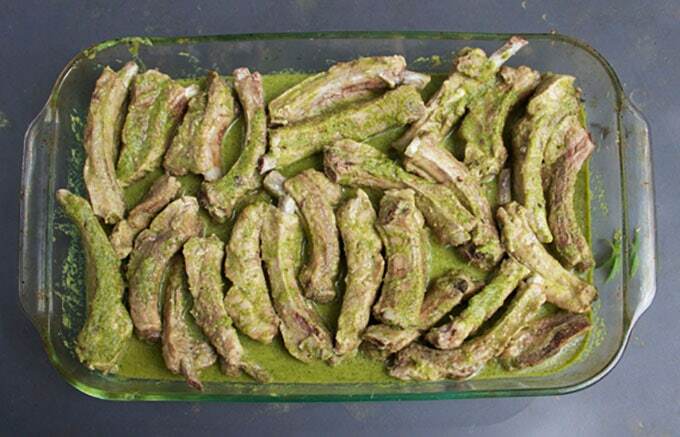 Serve ribs with coconut barbecue sauce on the side. 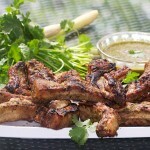 Fabulous ribs – loved all of the components of the marinade. The only change I made was to reduce the amount of sugar. I’m so glad that it is grilling season here and I can’t wait to make them again. Nancy : ) For some reason I can only get the sit to give 4 stars vs. 5 . I’m glad you enjoyed the ribs Nancy. I wonder what’s going on with my rating system? Thanks for letting me know – I’ll look into it. Really great blog!! I also would also parboil, just to remove some of the fat and seriously tenderize same, then marinate, and then bake in oven-saving some heated marinade to top with after! Grilling individual cut baby-back ribs on a “normal” BBQ is an arduous task, leading to serious char burning, and loss of product through the grates, and really not worth the effort in my HBO. Luv. I am making again tonight but this time I am going to try in the oven. I need a new bbq but until then I will cook in the oven and also put under the broiler. We will see how well this works out. Not going to marinate them. Just going to toss with the bbq sauce and hope for the best. YUM!! Made these tonight for dinner and everyone loved them. Served with an asian slaw, perfect dinner for a hot summer night. Will definitely make again. Thanks, Lisa!! Could these be par-boiled instead of steamed? I made these the other night they were absolutely fabulous. my only one comment would be that the sugar is, for me,a little too sweet. I would probably cut it in half. I would also serve it with lime wedges but these were so so good and oh by the way I did parboil them and they were so tender. Glad to know about the parboiling method. Thanks! Fantastic…a recipe that my husband can and wants to make. The ribs are steaming now. The marinade is done. Tomorrow night is the night. Thank you.